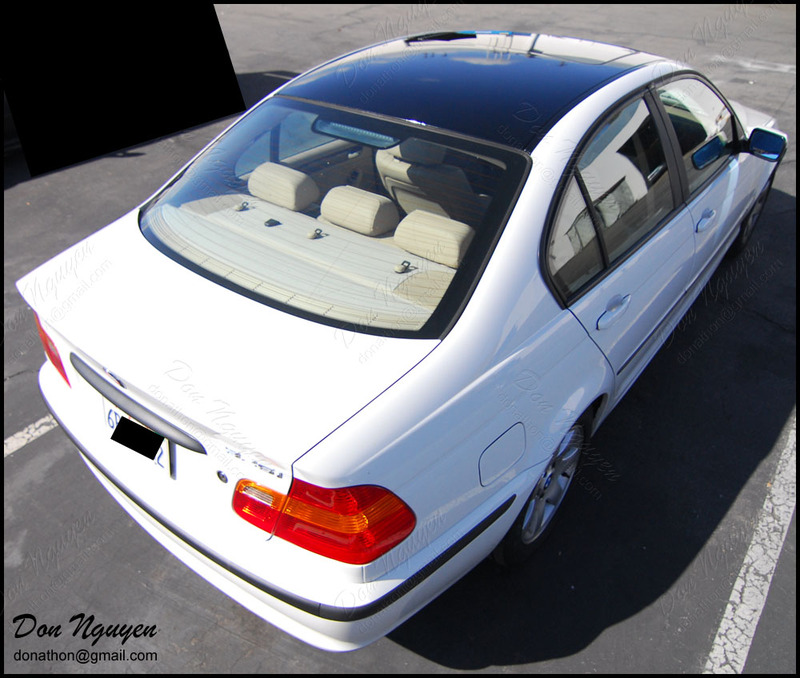 I've had a few people ask me what a gloss black vinyl wrapped roof would look like on a more stock/factory looking car. 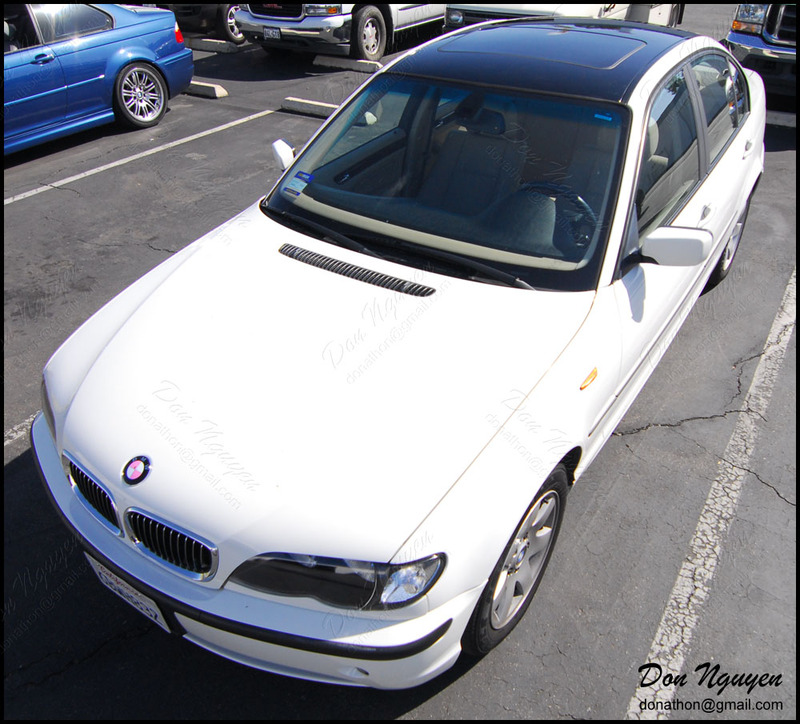 I vinyl wrapped the roof of this white BMW E46 325i sedan in my gloss black vinyl material. For this particular car, if the owner of this car was to have keep this car as is, without doing too many other mods, gloss black would definitely be the correct choice over matte black or carbon fiber, etc. Those finishes would be too aggressive for the car. Don't mind the pink emblems. This car was owned by a girl. The owner of this car drove out to me from Irvine/Orange County.